The type of jacket you'll possibly need depends on the time of year you walk your Camino. If you walk in the Summer, you might not require a jacket at all (but you should probably carry something lightweight that will keep you dry if it rains). In the spring or fall, it might still be cold in the elevations, and there's always the possibility of rain. Of course, winter provides it's own issues with cold, snow, rain, and sleet. When I walked it was Spring into early summer. We only had one day of rain over about 7 weeks. 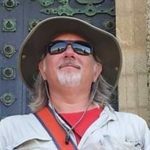 While we were walking north on the Via de La Plata, a friend of some pilgrims I was traveling with who was on the France Way experienced 30 straight days of rain. One truly doesn't know what's going to happen. I carried a raincoat that tucked into it's own pocket. Convenient and light from a packing standpoint, but boy was it uncomfortable to wear. The Spaniards I met were wearing coats made out of Gortex. Lightweight and the fabric kept them very dry. In preparation for life (I spend some time in the elements even when I'm not on a Camino), I purchased a Mammut rain jacket. It's Gortex, so it keeps me very dry, and it has an adjustable hood that allows me to keep the thing up and away from my eyes so I can see while walking and hiking. While not cheap, I found it well worth the investment. 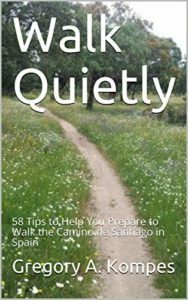 Walk Quietly: 58 Tips to Help You Prepare to Walk the Camino de Santiago is now available. 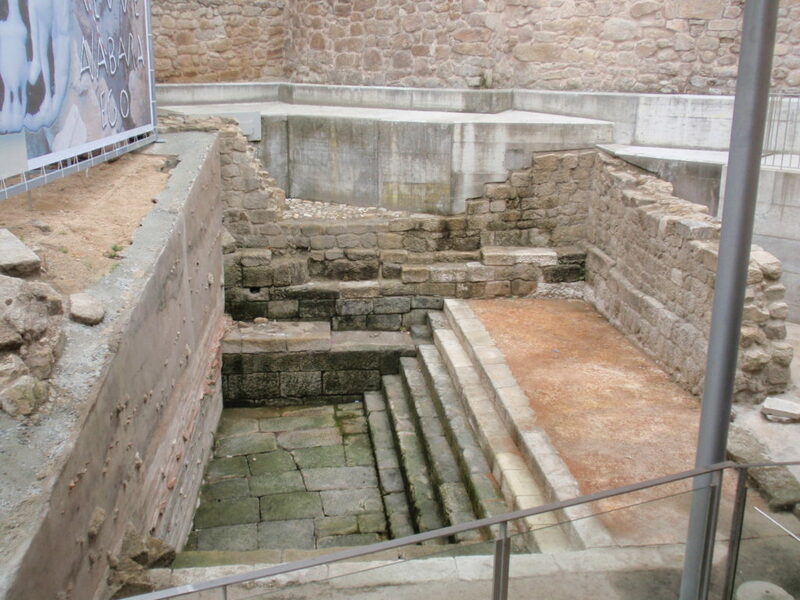 Planning to walk a Camino de Santiago pilgrimage in Spain? This is the book for you. 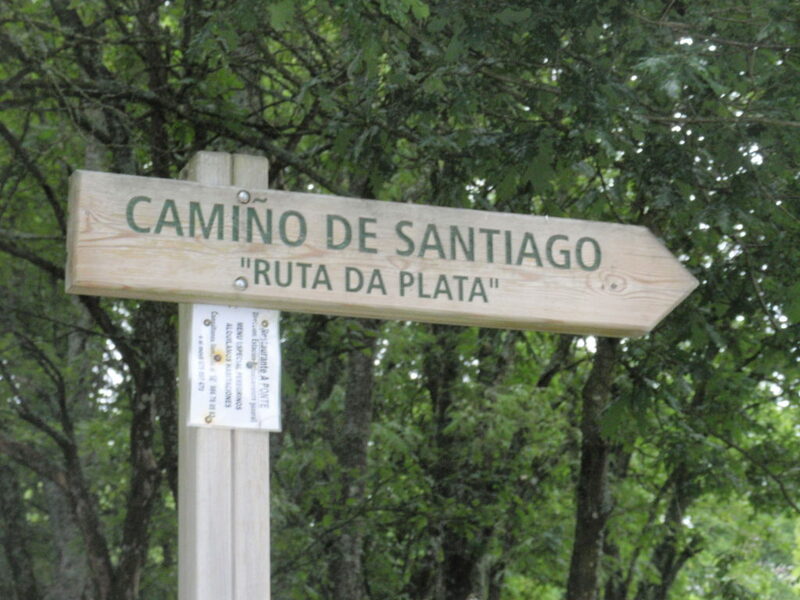 A collection of tips to help you plan, prepare, train, shop for, and walk the famous Camino de Santiago written by someone who spent 7 weeks walking the Via de La Plata route of the Camino de Santiago. You’ll learn what gear you’ll need, how to choose the right boots and break them in properly. 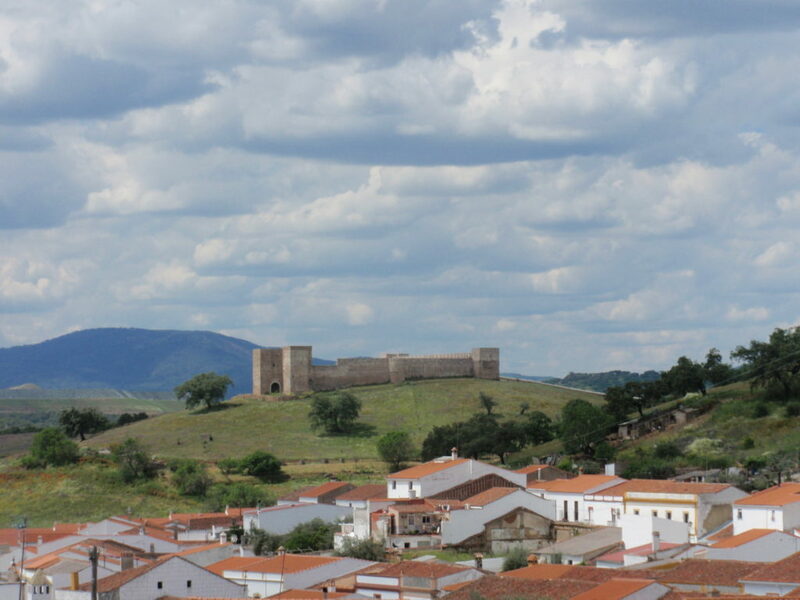 You’ll discover the best ways to Condition yourself to walk the Camino de Santiago. You’ll discover what to wear on the plane and then to have in your pockets when you arrive in Spain. 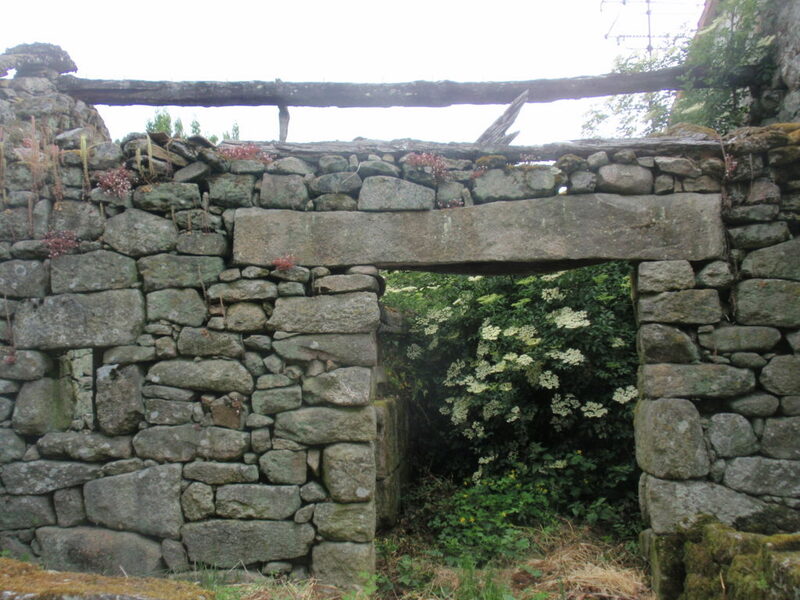 You’ll be ready for a “typical” day on the Camino and you’ll also be prepared for some of the changes that are coming your way, too. 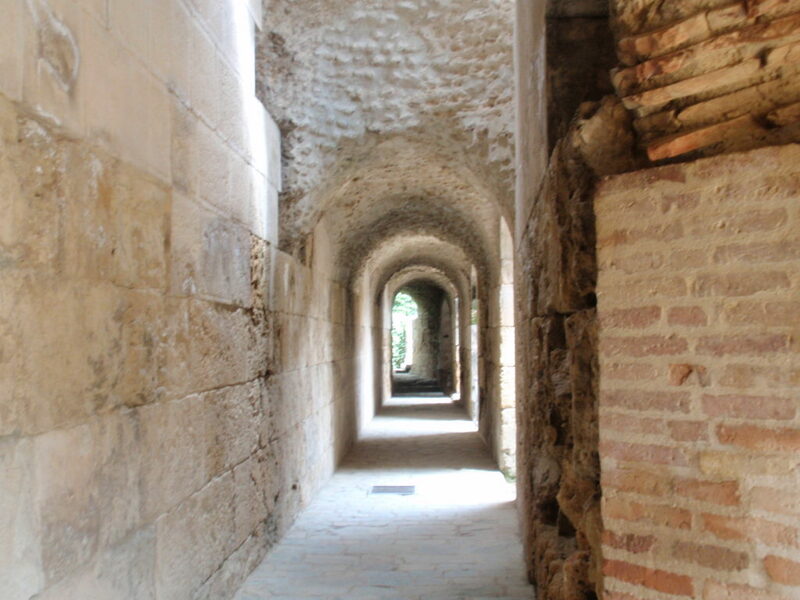 Plus, there are dozens of gorgeous photos taken in Spain by the author during his Camino de Santiago pilgrimage. Buon Camino! Choosing a hat is important. You'll be wearing it for 4-8 hours most days. Your hat will become an extension of you, a part of you. You'll feel naked without your hat. The goal of your hat is to keep the sun off your head and face, and to keep the rain off your head, too. And, it should feel comfortable on your head. I actually traveled with two hats. I had a wide brim, vented hiking/safari hat and then a baseball cap for the late afternoons. Why two? Well, I loved my hiking hat, but after using it on long hikes at home, I discovered it got rather wet with sweat on long hikes. It needed to dry out. And, the sun remains high in the sky well into the evening in Spain in the summer--so I knew I'd want a hat for the late afternoons as I wandered the villages and towns after my daily "chores." It's up to you and your preference. I liked the safari style with side snaps (that allow you to turn up a side of the brim and attach it to the hat). This proved really useful on windy days. I'm not a physics or math person, but there's something that happens when you roll and snap a side that keeps the wind from taking your hat away. The Australians I spent a lot of time with during my Via de La Plata Camino de Santiago had hats with flaps that further protected their necks and upper backs. One of the many positive things about technology is microfiber fabrics. They're light weight. They're absorbent. And, they dry quickly. 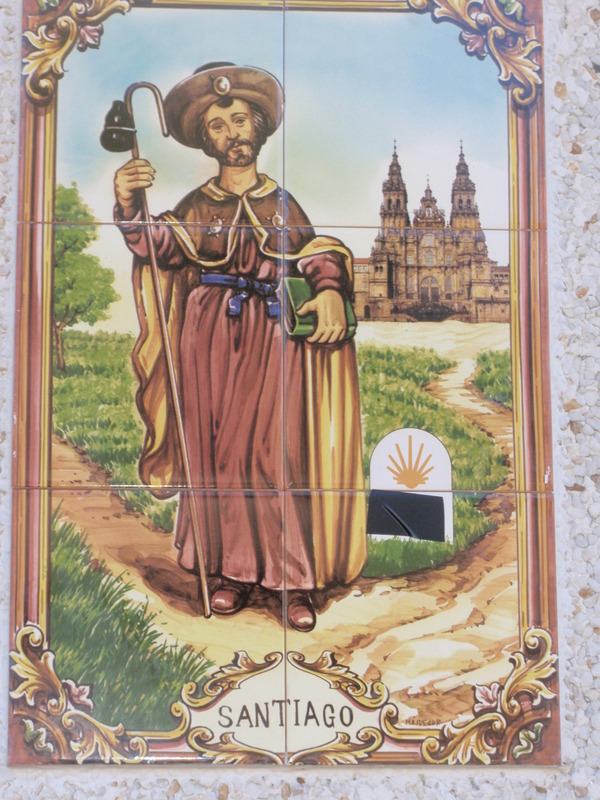 As you're planning for your Camino de Santiago, try out some of these products (towels, shirts, even pillowcases). Being into plush bath towels, I have to admit, it took me a few showers to grow comfortable using a microfiber travel towel. But, I got used to it. My advice: Be sure to purchase the largest one you can find (at least a bath sheet size). The larger format doesn't add much weight to your pack and these towels (when dried in a drier) can shrink. No matter how "good" you are about it, your towel will probably end up in a washer and/or drier at some point along your pilgrimage. It's also worth noting that some of these towels (like the microfiber pants and shirts) can come with anti-microbial treatments. My one recommendation here is that you try out these products for several days/weeks at home before you travel, just to make certain you aren't allergic to the fabrics.